Recently, we've been writing about successfully selling health benefits and defined contribution to small and medium businesses, and BTB strategies for health insurance agents. To summarize, small and medium businesses (SMBs) have significant buying power in the health insurance industry, especially with defined contribution solutions opening the market to SMBs traditionally priced out of offering group health insurance. How can health insurance agents take advantage of this market opportunity and effectively prospect SMBs? Previously we wrote about four characteristics of how small businesses buy health benefits and tips for brokers on prospecting SMBs. This article breaks down best practices for building relationships. It may go without saying that relationships are central to successfully prospecting and selling health benefits to SMBs. After all, most insurance brokers are in the business because they relate well to people, help solve problems, and are skilled sales and business people. Building long-term relationships is a foundation of successfully selling health benefits and defined contribution to SMBs, so here are eight best practices for relationship building. 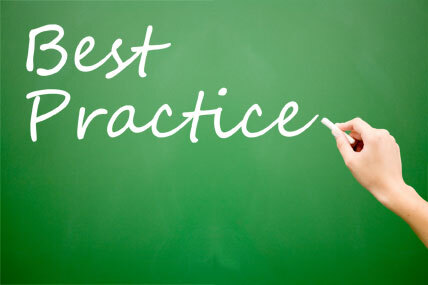 Are we missing any best practices? Be confident in the value you can offer from a business perspective and confident in yourself personally. Aim to come across as a trusted peer and consultant. This may be talking "up" or "down" depending whom you're speaking with. To create long-term relationships, don’t just focus on problems. Ask about future goals of the business such as growth, innovation, competitive advantage, and what ideas will be the ‘next big thing’ for their business. Bring new ideas to the table that align with the businesses goals, and you’ll build stronger relationships and become a trusted advisor. Find genuine ways to connect, as this will lead to real and long term relationships. The key is genuine. Find interests in common. Actively listen. Sounds easy enough... right? This in itself could be an entire article, and many books have been written on the subject. Sometimes this is called the Art of Listening. In short, avoid asking irrelevant or generic questions, ask a lot of follow-up questions, and acknowledge their feelings or reactions. Take your time. Now that you've had a great conversation, take a few notes about them personally and professionally. What sports team do they follow? What's their family like? Where did they recently vacation to? What University did they attend? How many years have they been in the business? These personal and professional pieces help build the relationships. Ask questions. And, answer questions with questions. (Are we getting repetitive?) This will help you dive into the real issue and the real pain. Likewise, because you understand the real issue and the real pain, you can offer real solutions. Keep trying to reach the level of conversation that is needed to get to more meaningful conversation, to build the relationship, and to the real issue you can help with. It takes time to develop these skills. Cultivate a reputation as an acknowledged expert in the field; create relationships with other executives and industry influences. Use networking, word of mouth, and social media such as LinkedIn to create these relationships and become an industry thought leader. Want more ideas? This article is from our eBook "Successfully Selling Defined Contribution to SMBs - A Guide for Insurance Brokers." What are your best practices for building relationships with small and medium businesses (SMBs)? Join the discussion in the comments below.